Free Belarus Now campaigns for a democratic Belarus that respects the rights of every citizen. Their mission is to end human rights abuses and enable free and fair elections in Belarus. The European Movement is an international organisation open to all political, economic, social and cultural trends in civil society. Its objective is to “contribute to the establishment of a united, federal Europe founded on the principles of peace, democracy, liberty, solidarity, and respect for basic human rights. 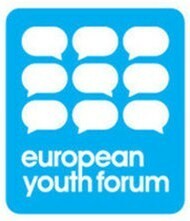 The European Youth Forum is an international organisation established by national youth councils and international non-governmental youth organisations in Europe. It endeavours to serve the interests of young people from all over Europe, promoting their active participation in the construction of a common Europe. Libereco wants to mobilize and sensitize the public, to protest with appeals and actions against Human Rights violations and in this way to support an improvement of the Human Rights situation in general. The purpose of the Belarusian Cultural-Educational Center in Poznan, Poland is to work for a free Belarus, the spread of the Belarusian culture, language, knowledge of Belarus in Poznan, Poland and the world. Youth Yabloko is a youth fraction of the Russian Democratic Party “Yabloko”. The federal structure includes more than 30 regional offices and has over three thousand people. Youth Yabloko is working for promotion of youth rights, social welfare and active citizenship of young people. 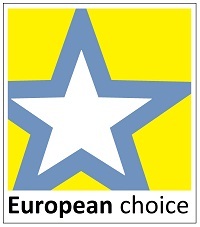 European Choice is a public, non-governmental movement of Ukrainian young leaders aimed to promote EU values among youth all over Ukraine. Youth Group of the Center for Civic Education was created in May 2010. Youth Group of the Center for Civic Education is a non-partisan, non-governmental and non-profit organization that is concerned with improving human rights, primarily through education and youth activism.